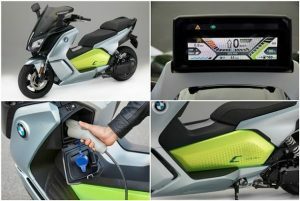 Well, behold the BMW electric scooter. You will never have to gas it up. But you’ll have to wait a few hours while it charges up. It only goes about half as far as an IC-engined scooter – but you can access about 30 percent more power (and another roughly 30 MPH of top speed) at the touch of a button. 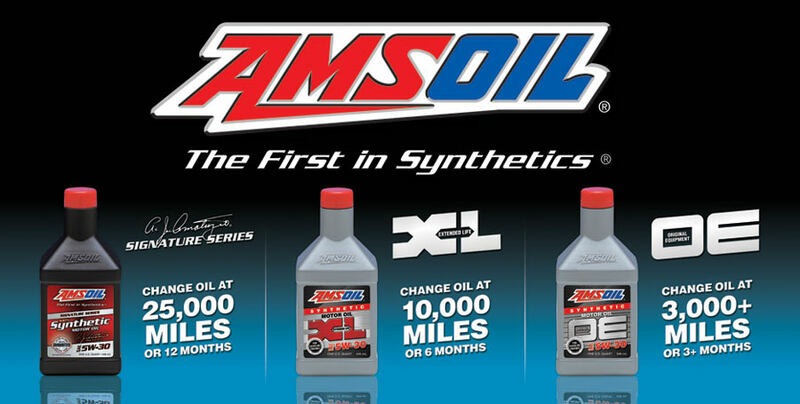 It’s as silent as the grave – and it will never leak oil on the floor of your garage. But one day, you may be faced with the need to replace a very expensive battery. Beauty . . . or beast? The C Evolution is BMW’s electrified answer to regulatory fatwas in European countries that forbid or hugely restrict anything that combusts – no matter how cleanly – from setting foot in certain areas. These anti-IC fatwas have yet to spread their dark shadow here, but it’s probably inevitable and since BMW has to make these things for Europe, they probably figured why not at least try to sell them here, too. 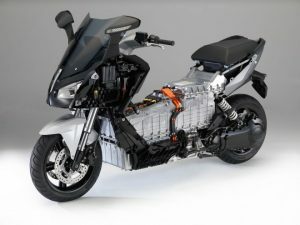 The Evolution is similar in size and general layout to BMW’s gas-engined scooters, such as the C 650 GT and Sport – but with an electric motor and battery pack under the seat rather than an internal combustion engine for motive power. You plug it in rather than gas it up. 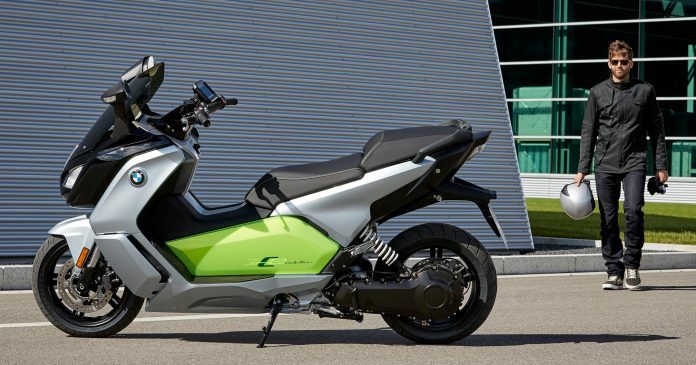 Base price is $13,750 – vs. $10,095 for the IC-engined C 650 (reviewed here) which when you take the cost of fueling the gas-engined scooters into account, isn’t that great a gulf. You might even reach break-even before the thing’s paid off. ABS, reverse assist and four driver-selectable modes are standard. 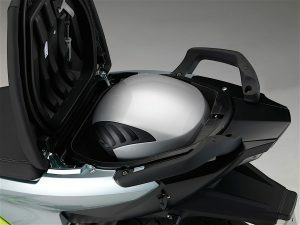 The major optional amenities are heated grips ($250) and a Comfort Seat ($145). A smartphone cradle is also available. A plug-in charger that works with any 110V household outlet is standard, but the Evolution can also be topped off faster – that being relative – using a 220V “fast” charger, if you buy the optional wall box and have it wired up by an electrician. 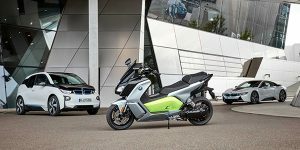 The C Evolution is BMW’s first electric two-wheeler (the i3 electric four-wheeler beat the e scooter to market by a couple of years). 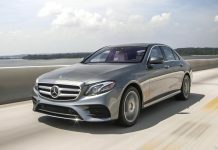 It is touted as being primarily for “urban mobility,” but its respectable range – potentially as far as 99 miles, if you keep it in Eco mode – is enough to make it serviceable for suburban-to-urban operation and possibly back to suburbia . . . without a plug-in session. 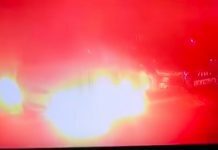 Not that huge a price premium vs. BMW’s C series gas-burning scooters. 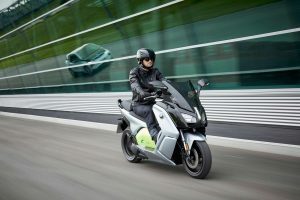 Power-acceleration comparable to BMW’s 650 cc gas-burning scooters. Very low center of gravity makes it easy to “walk” out of parking spots, maneuver in very close quarters – despite 606 lb. curb weight. Ninja-silent and actually kind of fun to ride. Huge price premium vs. other-brand gas-engined scooters – which have twice the range and don’t take hours to refuel. Using the IC scooter-equivalent performance (Dynamic mode) saps the range, limiting the usefulness of the thing. Severely limited storage due to space-hogging battery. Windscreen is small; IC-engined scooters offer better protection in the cold. Though it looks a lot like a 650 GT or 650 Sport, the Evolution differs radically when it comes to how it gets going. Rather than pistons going up and down inside cylinders, you’ve got an electric motor spinning and directly driving the thing. It produces peak torque – 72 ft.-lbs. immediately and 48 hp at 4,650 RPM. The electric motor does have one thing in common with the parallel twins in the 650 cc gas-burners: It is water-cooled, as they are. The 94 amp-hour lithium-ion battery has a fan (and special ducting) to keep it from overheating – you will hear this fan during recharging sessions. The battery case serves as a stressed member of the scooter’s chassis, as the IC engine does in many motorcycles. Range on a full charge varies from about 70 to just under 100 miles, depending on which of the four drive modes (Eco, Road, Sail and Dynamic) is engaged and for how long. The Evolution’s maximum range in Eco mode entails a maximum speed of about 60 MPH and the maximum output of the electric motor is dialed back to conserve power. Dynamic mode unlocks maximum power as well as maximum quickness and top speed – about 80 MPH, which is about 20 MPH below the top speed of the IC-engined C 650 series scooters. Those scooters also have about twice the range – about 200 miles on a full 4.2 gallon tank. 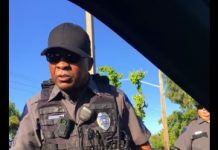 They do, however, have to be refueled with gas – which means gas stations and dealing with gas. The e-scooter recharges at home – or wherever there’s an available standard household outlet. This can be more convenient, if your road tripping is within the range orbit of the scooter’s battery pack. Of course, it can also be a lot less convenient – if your trip there is long enough that – to get back – you have to plug in for a few hours before you can on the road again. BMW supplies a recharge kit, located underneath the passenger’s seat. 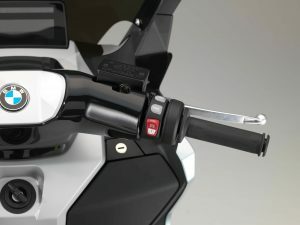 It is designed to look like a gas pump nozzle and plugs in to a port located behind a cover to the left of the steering head. The other end plugs into any common household outlet; a circuit monitor box keeps track of the charge process and lets you know – via LED indicators – when the process is complete. It takes about eight hours (depending on the state of charge) using the standard household outlet. The “fast” charger reduces this to about four hours. 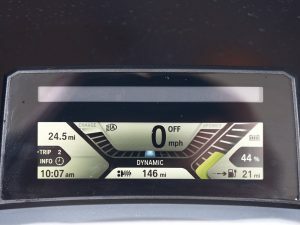 Charge/range status is also displayed on the scooter’s main LCD gauge panel. This updates as you ride, taking into account how you ride. The Evolution is the first electric vehicle any major manufacturer has sent me to test drive – because it was able to hitch a ride. It arrived inside an enclosed motorcycle trailer – pulled by an IC-engined truck. No electric vehicle – whether on four or two wheels – can make it the 230-something highway miles from the press vehicle pool up in the DC area to my place out here in The Woods on a single charge. Which means they can’t make it here in one day – because the driver would have to stop overnight to recharge the vehicle. And by the time they got the thing here, to my place, it’d be discharged again. I couldn’t test drive it before recharging it. 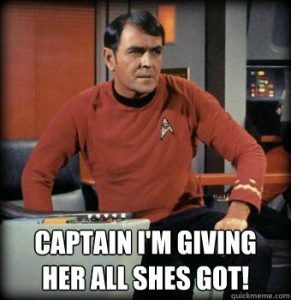 It’s too much hassle for everyone involved. 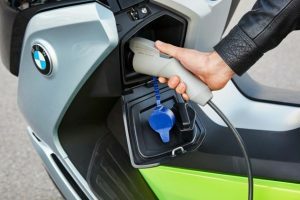 This is the electric vehicle’s trick knee – whether it’s a scooter like this or an electric car like the Tesla. Range has improved, no doubt. I rode the fully charged Evolution from my place to the coffee place in downtown Roanoke where I sulk and was able to make it there and back home – a round trip of about 65 miles – without running out of juice. I did it by keeping the scooter in Eco mode – which limits speed to about 60 MPH as well as the power output of the motor and maximizes energy recapture via regenerative braking. This left me about 18 miles of range, according to the scooter’s info display – and about six hours to recharge before I could use the scooter again. Three or four, if I had a “fast” charger. To be fair, the Evolution is not designed to be a long-haul ride. It is designed for “urban mobility” and if I lived in downtown Roanoke, maybe eight miles from the coffee shop, rather than up in The Woods as I do, the Evolution’s range would be plenty and then some. I could do more than risk a run to the coffee shop. I could go shopping; visit friends. 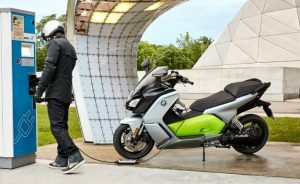 In an urban setting, it takes all day to roll 60-something miles and because this is an electric ride and electric rides are most efficient when not rolling very fast, sucking the battery pack dry would probably be a challenge rather than something to constantly have to worry about. Plus, there are places to plug in pretty much everywhere. The owner of the coffee shop offered to let me – and would probably let you, too. If not him, if not there – then someone/someplace else. Electric vehicles work in the “urban” environment – and that ought to be their focus. I think it’s foolish for EVs – whether scooters or cars – to try to compete with IC cars as highway/road trip cars. Their weaknesses – range and recharge time, the latter being the major issue because very few people are going to willingly put up with having to stop and wait at least a couple of hours (assuming access to a “fast” charger) to recharge before they can get going again – become glaringly apparent and dim into irrelevance the coolness of silent-running electric drive, the instant-torque of an electric motor and top-drawer acceleration electrics can deliver. Which brings up a related issue. If you toggle up Dynamic mode, the scooter scoots. It is quicker off the line than the IC-engined C 650 GT scooter and most IC cars, too. It is big fun to get the drop on cagers who – a moment before the light went green – were laughing at that big dude on the little green scooter. But, no free lunches in this world and probably not the next, either. In Dynamic mode, the range dips to 50-ish, at least the way I rode the thing. For exactly the same reason that a Hellcat Challenger’s fuel gauge goes from Full to Empty real fast if you run the thing fast. 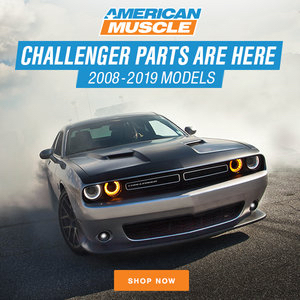 The difference is you can refuel the Hellcat or any other voraciously consumptive IC-engined ride in less than 5 minutes while it takes at least an hour or two to put a partial charge back into your EV. If you use the performance the EV can deliver, you not only lose range – you lose time. Hence, I think that the emphasis should be on economy rather than performance. Just as EVs ought to forget trying to compete with IC vehicles as long haul/highway rides, they also ought to stop touting how quick they can be. Because it undermines the case to be made for the things. If they’re not economical and practical to operate, what’s the point? Speed comes without the gimps in an IC-engined vehicle. The C 650 scooter can be wrung out with abandon and the worst case scenario is having to stop for five minutes every 150 or so miles (it goes 200-ish, if you don’t wring it out). The Evolution can’t compete with this. No EV can compete with an IC-equivalent on this. Not until someone figures out a way to instill a full charge into an EV’s batteries in the same five minutes or less. Or figures out a way to increase the range on a charge to at least 25-50 percent more than an IC-engined equivalent vehicle, to make up for the longer pit stops by putting more miles in between them. That will probably not happen for some time time to come, and it’s foolish for EVs to try to compete in a game they can’t win. Especially when they are so good on home turf – in the urban mobility context. The Evolution’s extremely low center of gravity makes it feel much lighter than its 606 lb. curb weight (comparable to the weight of a full-size motorcycle). You can Fred Flintstone it into and out of parking spots with ease. No clutchwork is required – of course, it’s a scooter. Just rotate your wrist to move forward. But on this scooter, rotating your wrist backward slows the thing without touching the actual brakes, via engine-braking effect. Motor-braking, actually – but it amounts to the same thing. It is fun to modulate the scooter’s momentum this way and saves energy, too. If not for the Mellow Yellow paint scheme, the Evolution could pass for a standard, IC-engined scooter. The overall shape is very similar to the C 650’s and so are the physical specifications. The Evolution is 86.2 inches long; the C 650 is 87.3 inches long. Both are pass-through designs and have similar fairings, though the Evolution’s windscreen is bikini-style and offers less protection than the C 650’s. One other thing the Evolution offers less of is storage capacity. The IC-engined BMW scooters have more room for stuff than most full-dresser touring bikes. This is no joke. 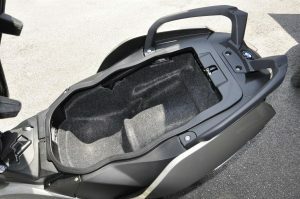 You can lift up the rider’s seat and underneath that you will find space enough to hide a body. And not Verne Troyer’s body. In the Evolution, this space is hogged up by the battery pack. All you get is a much smaller space under the passenger seat – and about a third of that is taken up by the power cord/plug-in rig. I was just barely able to squeeze a Macbook laptop in there, along with the power cord – which you don’t dare leave behind. There are two additional map-pocket-style cubbies near your knees, built into the lower part of the scooter’s front fairing – but these won’t hold much more than a sail fawn and your wallet. If you need to carry more than a laptop, you’ll need to add side bags or wear a back pack. One very cool thing about the Evolution is that it is available with your choice of seat heights. The standard 30.1 inch high seat or the optional 30.9 inch Comfort Seat. This makes the scooter more accommodating to riders of various inseams and leg lengths. Unfortunately, a heated seat is not offered (you can get one with the IC-engined C 650 series scooters). Probably because of the electric draw – and reduced range – that would attend. 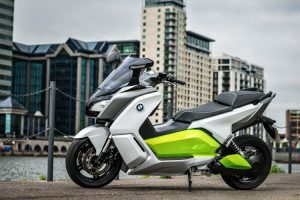 The price premium vs. the IC-engined BMW scooters is not that much; you are paying as much for the BMW spinner and higher-end experience as you are for the electric powertrain. If you are an urban rider you might end up saving some money. But you could also buy a non-BMW scooter – with an IC engine – for about half as much. Granted, it would’t be “green” – but it would save you a lot of green. Does she look pretty to you? I have owned an ic C650 GT for a couple of years now and love it. I generally fill up at around 160 -170 miles, and never put more than about 3.5 gallons in. So I guess I have at least another 25-40 miles, but dont like to chance it. I think if 100 mile range was possible on the new electric scoot, I might consider it. But don’t want to be forced into hobble mode. It is just not worth the hassle. One thing though, I don’t believe the taxpayer is subsidizing electric bikes the way we are electric cars. Not sure though. That would make me much more likely to get one. I don’t think there are any equivalent subsidies for electric bikes; for example, no massive tax incentives for buyers – as is the case with electric cars. 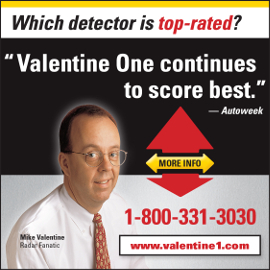 I suspect, though, that BMW is selling these at a loss. 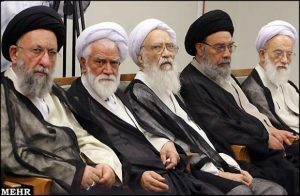 And I know they’re only building them because of the fatwas that have outlawed IC machines in various places in Europe. It looks like a Vectrix to me, down to the regen backthrottle. This might be a little more practical for personal transportation in a city. If you have a freight elevator in your building you might be able to park it in your loft apartment. You know, like everyone in Hollywood movies that take place in New York. But park it on the street and it will be trashed or gone in a week. If the thieves can charge it. Any apartments with common areas usually don’t have any electrical plugs, and if the landlord gets wind of you charging your vehicle on his dime you’ll be out of there in a New York minute. No easy solutions here. Until an enterprising parking garage owner goes to the expense of installing charging infrastructure on a wide scale it will continue to be a chicken and egg situation. And that massive charging station parking garage WILL stress out the nearby power systems and WILL attract the attention of the electric utility and WILL require a massive upgrade of the feeder lines to the neighborhood. Something tells me that’s why we don’t have charging stations everywhere. We have fancy chargers in my parking garage at work – but the WON’T WORK with the zero without buying a $5000 “charge pack”. 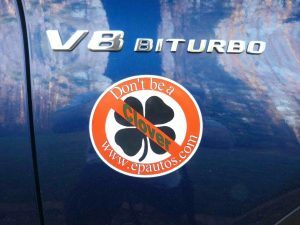 I’m betting they won’t work with this bmw either. You and Ready both touched on something I should have put in the rearview – about problems for apartment-dwelling city people to plug in. I live in a single family house and have a garage; no problem for me to plug in. But if you have to park on the street, curbside? 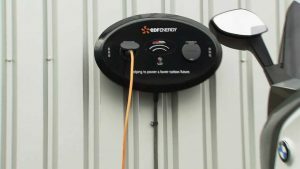 Even if you can plug in, can you leave an extension cord (and am expensive charging rig) exposed outside? Yet another problem. Tesla’s chargers aren’t compatible with the industry standard plug. And they don’t go into “supercharger”mode unless connected to a Tesla charger. 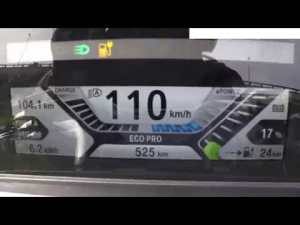 Finally a review of an electric vehicle which isnt just about how fast it accelerates (a couple times per charge) and how green it is and other theoretical possibilities and instead writing on how it would be in real life…. I am hoping to somehow get my paws on a Tesla, but it doesn’t seem likely. Elon is very careful about who gets access to his electric Turduckens! I must commend Eric for his fair and even handed test of the electric motorcycle BMW C Evolution. Unbiased he correctly mentions its drawbacks and benefits. If he ever gets an electric car to test, I am certain that his test of that car would be fair as well. 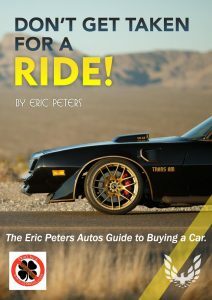 For what it it worth Eric writes for the benefit of the customer, in opposition of other car related sites that seem to be writing mainly for the benefit of the manufacturers and government. Today in a direct competition with fossil fueled vehicles, the electric ones are still too expensive and their range is still somewhat too short. Perhaps in a few years battery technology will have improved so much that electric vehicles will become more competitive. 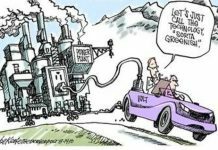 On the other hand, what will release less CO2 if the electricity is also made by using coal or oil? I, like you, am troubled (appalled, really) by the general trend in my line of work to amen-cheer whatever the manufacturers are doing and the government is mandating. 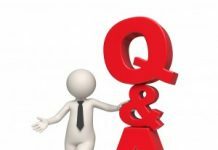 I see my role as being the guy who conveys the Straight Dope – to the extent I am able – so that the people reading my stuff have a better idea as to the truth of things and can make up their own minds. 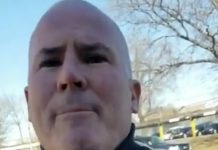 13 grand for a scooter? I can get a brand-new ZX-6R for that, and it’s a proper bike. Came here to bash it. But, honestly, after reading your review, Eric, other than price I have to admit I kind of like it. I do a 90 mile roundtrip commute on a motorcycle every day. But at that price….nope. Yup. Mixed feelings about it. I think if someone other than BMW did it – and got the price around $8k – the thing would have a lot more appeal. They going to send you the gas version of this so you can compare more? Electric transportation is helpful in commuting. You still need an IC engine for long ranges. Thing is, in commuting, no one cars about range as you are likely going to a place with a charger. This whole thing is nonsense. I don’t understand why anyone would want to drive something that sounds like a coffee maker.There are masses of idiots out there. Looks like a BMW copy of the Honda 650cc Silverwing Scooter. I will not ride a step-thru, period. It’s similar… but less practical and more expensive!